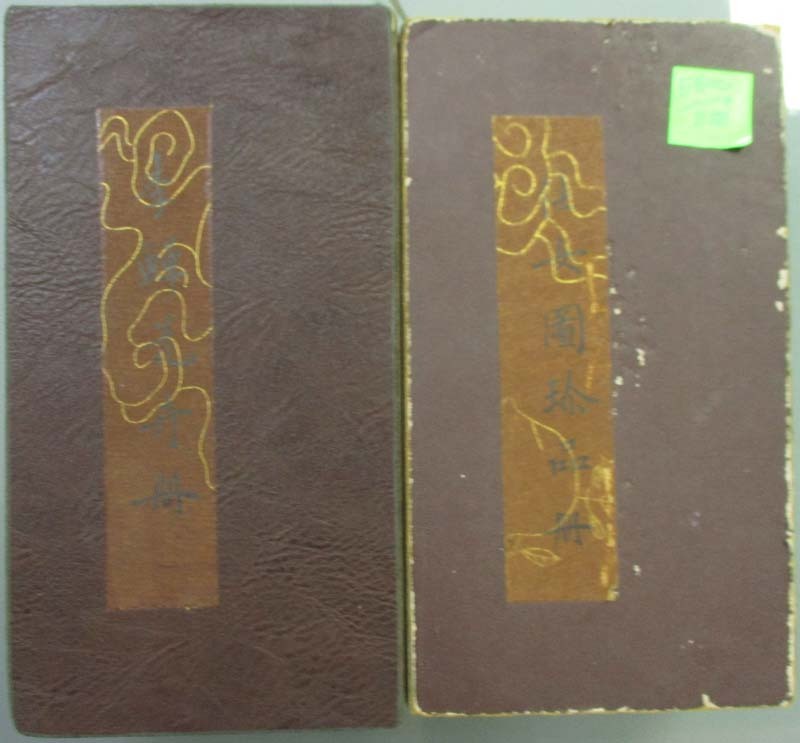 "Book - Lot of 2 books painted big book in colour, one without text about a lady and another with text aobut flowers. Size 11x20 cm., thickness 5 cm., all pages continue folded book. Good condition. F.(2)"